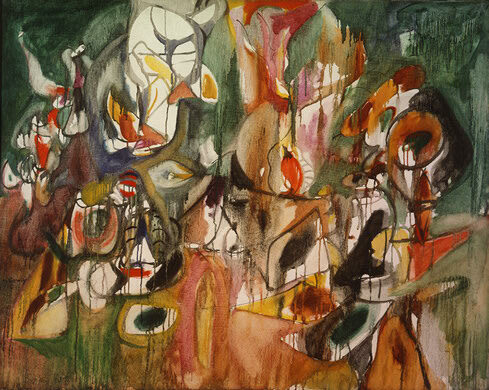 Arshile Gorky is one of those names that instantly stands out for me. But the reality is that I never knew much about his work. Just a unique name. But of course there is more than the name. 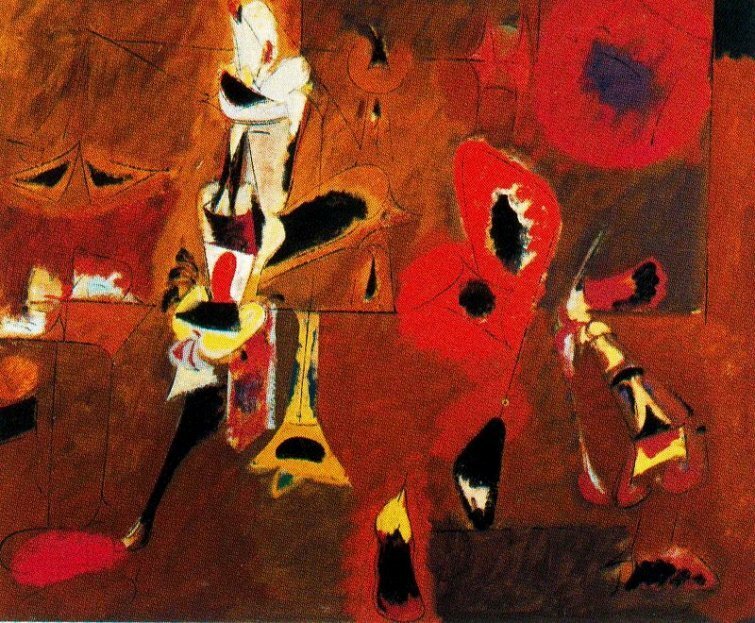 Gorky was born sometime around 1904 in Armenia and came to America in 1920 in the aftermath of the Armenian Genocide perpetrated by the Ottoman Empire on its own citizens of Armenian heritage. About 1.5 million Armenians died in this dark era including Gorky’s mother in 1919. Fortunately for him, America was still a welcoming land to refugees fleeing hatred and danger. He quickly integrated into the America of the 1920’s and spent the rest of his life here, gaining a sizable reputation as an important painter. 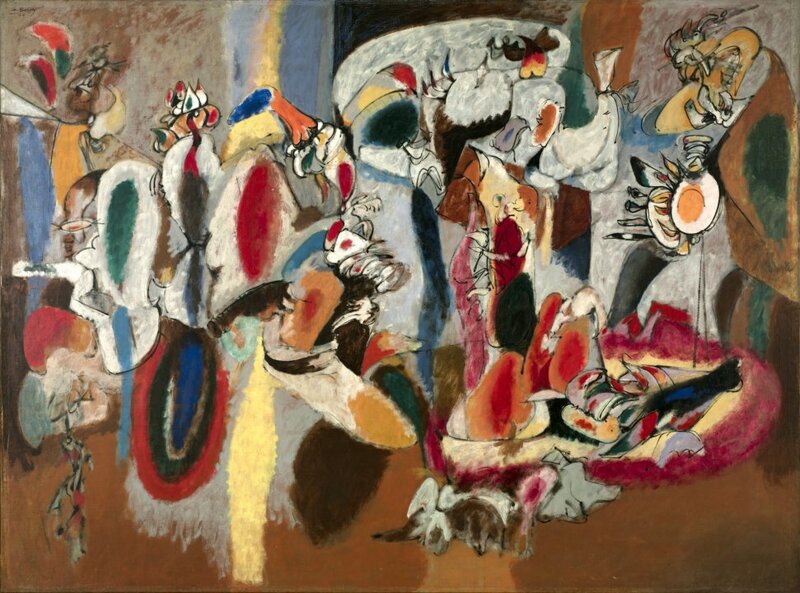 He is considered one of the major influences on the Abstract Expressionist movement of the 1950’s, which he unfortunately didn’t live to see. His candle burnt brightly but was short lived. He suffered several personal setbacks after 1946 including a car crash that broke his neck and temporarily paralyzed his painting arm. He hung himself in 1948, dying at around a young 44 years of age. He hadn’t even come into his prime as a painter. I like much of his work that I have seen. I am not a fan of abstraction for abstraction’s sake. For me, a work still has to have something to say and a sense of movement, rhythm and harmony of some sort. It has to talk, to communicate a meaning of some sort to me. It has to have have that sense of rightness that I have referred to a number of times here. Without that, the most beautifully crafted piece of work can be sterile and cold. So, I agree with Gorky’s words above about rightness in his own work. That is the quality I seek most in my own. His work is often described as Lyrical Abstraction which is where the work has many of the qualities that I described above, forming in itself a visual language of sorts that transcends the image. These are ideas that spark my imagination, that make my time spent in the studio worthwhile.